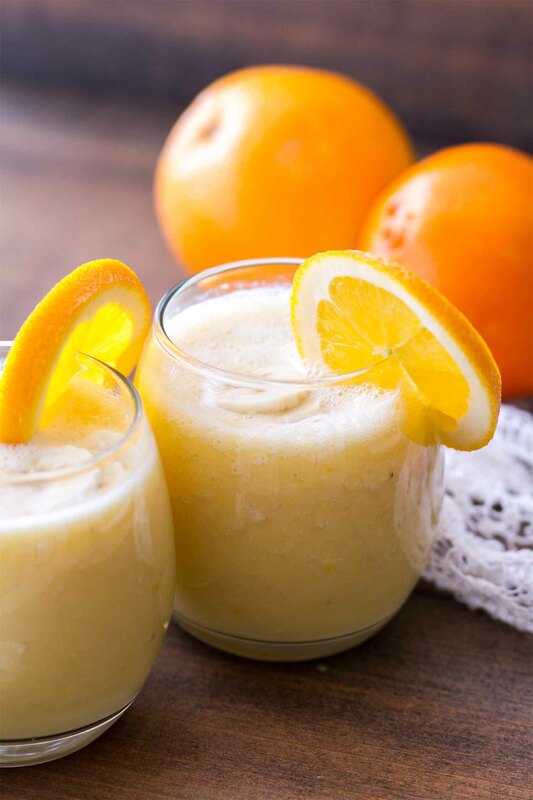 Fresh Orange Smoothie Recipe ~ Only 4 Ingredients Makes it a Perfect Quick, Easy Breakfast or Snack! Packed with Vitamin-C to Help You Feel Great! 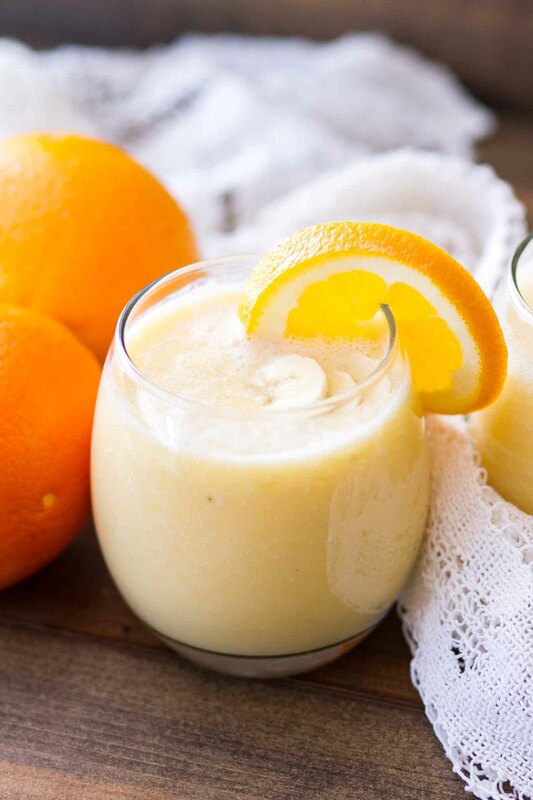 As of late, my go-to breakfast choice is this Fresh Orange Smoothie recipe. Sickness has been going around like crazy (every person in my family has had it at least once, some battling 2nd and 3rd times). 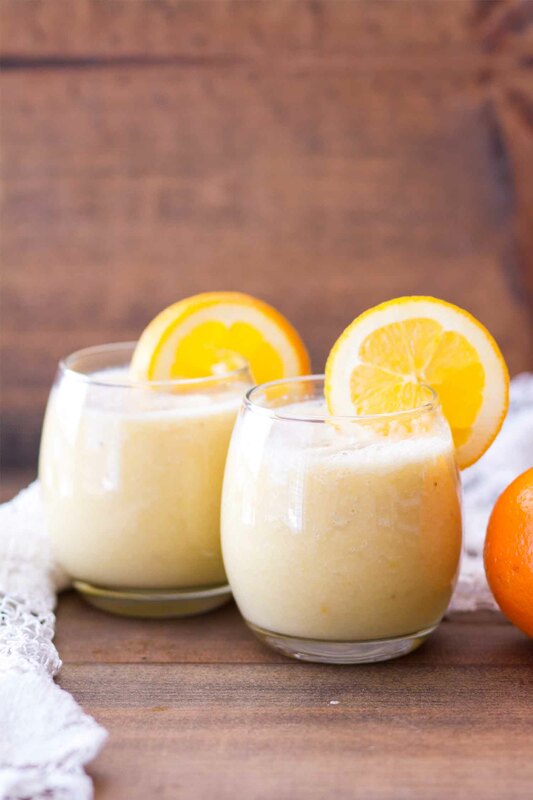 This delicious Fresh Orange Smoothie Recipe is only four simple ingredients so it’s a winner in my book for just that fact! Not to mention it’s loaded with Vitamin C which we all can use a heavy dose of this time of year! You’d thick I’d be all rested up to beat the sickness since this year (or, I guess last year??) I took some time off around Christmas. The two Christmas seasons prior, I felt like it was a mad dash to keep up with the blog while also trying to cram in as much holiday fun as possible, and by the end of December, I was spent. 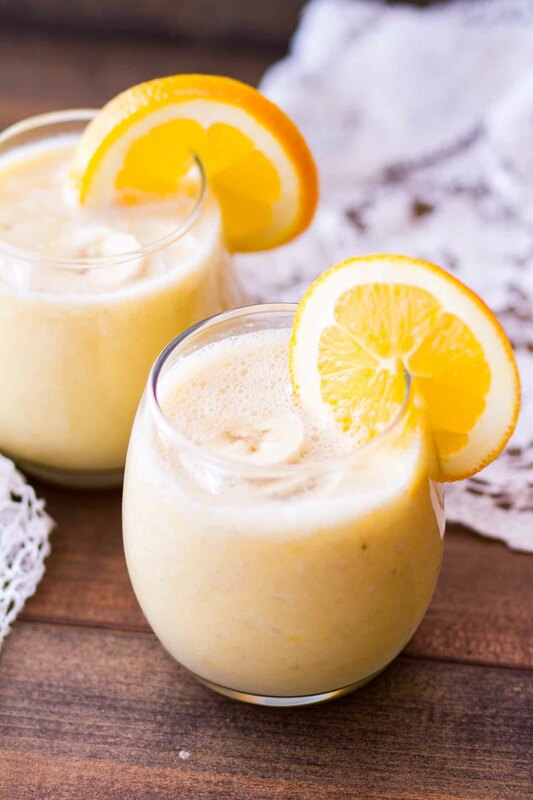 As the days have passed, I’m getting back in the swing of things (and proofreading at least 3 times), including starting off each day with a healthy, nutritious breakfast like this Fresh Orange Smoothie Recipe! 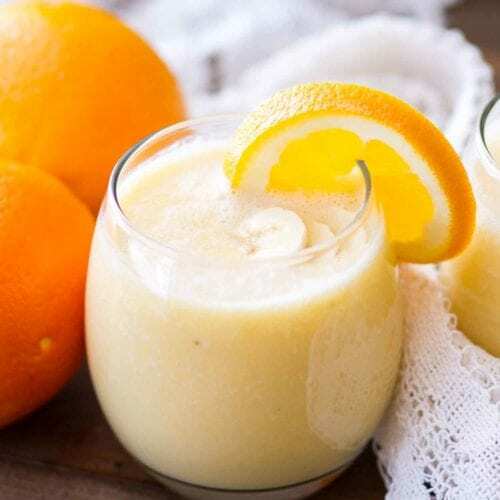 This orange smoothie is super simple to make, and it only uses 4-ingredients: Fresh Oranges, Banana, Almond Milk, and Greek Yogurt. Tools Helpful to Make Fresh Orange Smoothie Recipe! 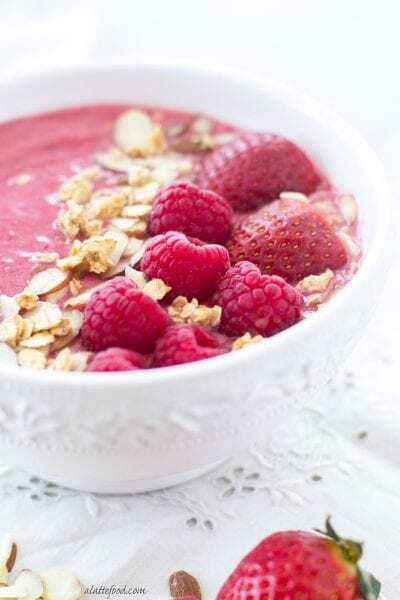 Make Sure to Try these Smoothie Recipes! 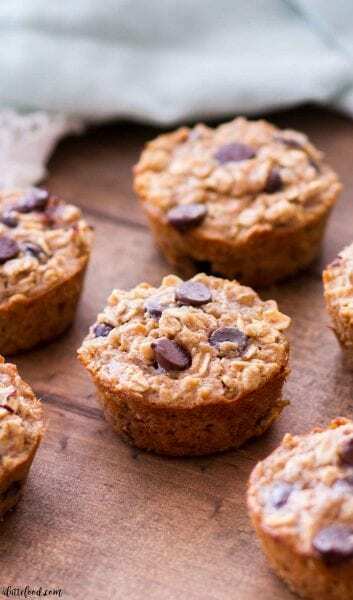 Only 4 Ingredients Makes it a Perfect Quick, Easy Breakfast or Snack! 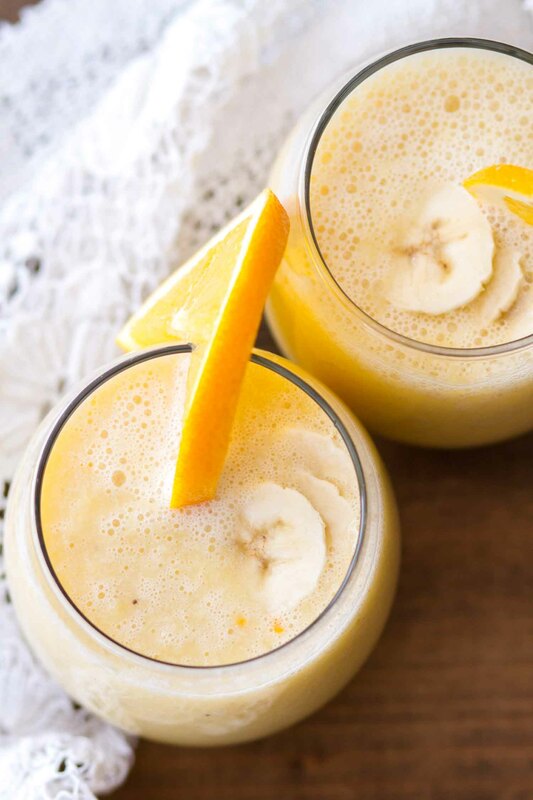 Packed with Vitamin-C to Help You Feel Great! This sounds so amazing! I bet with a splash of vanilla it would taste just like an Orange Julius! Ohhh yes Melissa that would be the perfect addition! 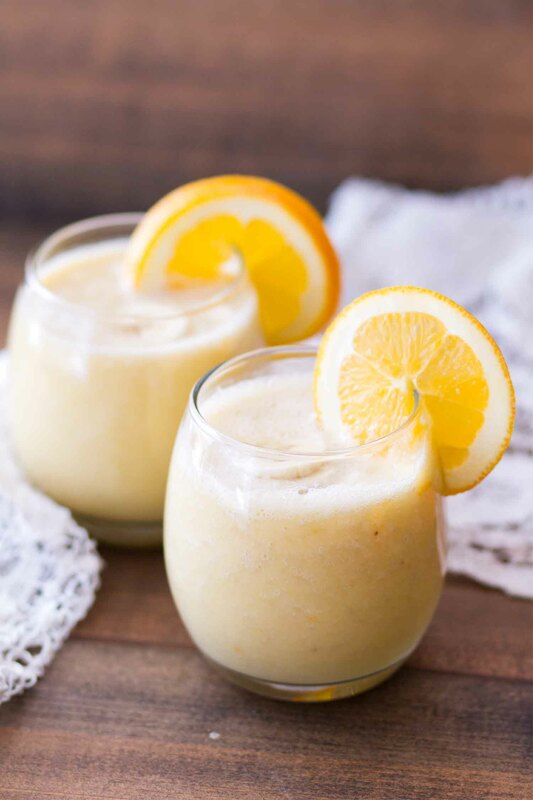 Even during the coldest months of our Minnesota tundra, this looks deliciously refreshing! We can always use a little brightness in our winter journey! Now that we are getting better and I have removed our Vitamin C IV’s I think I will start making these for the kids to drink! They look so refreshing! LOL! I hope we all stay healthy now! Maybe these will help! Oh my! 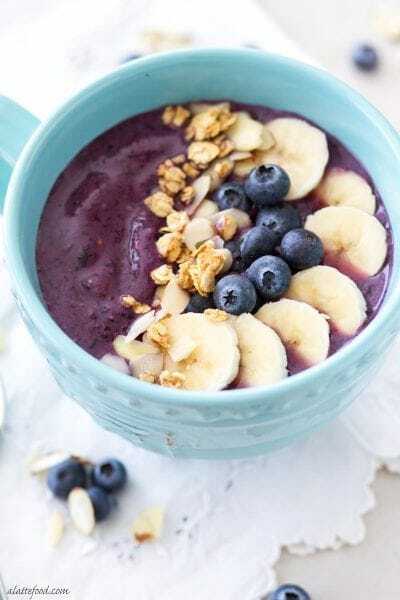 This smoothie is stunning! What a fresh way to start the day! Can’t go wrong with a day starting with this!